If you've been following here for awhile, you know I love a great t-shirt, the geekier the better. 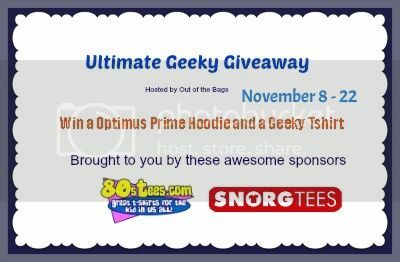 Snorg Tees and 80's Tees have some great pop culture shirts. We have a hoodie and t-shirt up for grabs here. Enter before 11/22 for your chance to win. Good luck. Disclosure: Java John Z's did not receive compensation for promoting this event and is not responsible for prize fulfillment. My opinions are 100% my own and may differ from your own or even those stated in this post. I like the Yoda Santa Claus shirt. I love the Rock, paper scissors lizard Spock shirt. I like the 'You Need To Believe In Yourself' unicorn shirt. I like the "Always Be Yourself, Unless You Can Be Batman, Then Always Be Batman" shirt. I like the Sentences That End In Potato shirt. I like the Pavlov's Cat shirt. From 80's Tees I really like the Yoda Santa Claus Sweatshirt and from Snorg, I like the Humpdaaay camel T Shirt. Thanks for the great giveaway opportunity. Keep up the terrific blogging. I like the You Need To Believe In Yourself shirt. I really like the cactus that says 'Hugz' under the best sellers. I like the Dog-O-Pus T-Shirt. From 80s Tees, I like the Fred Flintstone T Shirt. From Snorg Tees, I like the T Shirt Hedgehogs, Why don't they just share the hedge? Thanks for the super giveaway opportunity. Keep up the terrific blogging. I love the Sentences That End In Potato shirt.